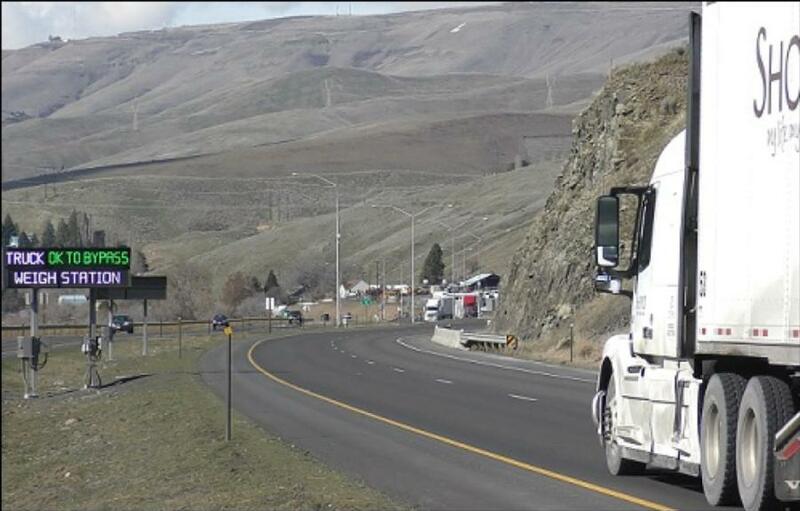 The Idaho Transportation Department said new equipment that helps commercial truck drivers bypass a weigh station in the Lewiston area can save truckers more than $900,000 this year in time and fuel costs. Highway sensors verify whether the truck's weight, height, length, safety rating and credentials meet legal requirements, before the vehicle reaches the port. Electronic signs direct the driver in a green message to bypass the weigh station when the truck is in compliance, or with red lighting tells the driver to go to that facility for inspection. The ITD said that updated weigh-in-motion system “is expected to allow up to 70 percent of commercial traffic heading out of the city and another 50 percent heading into the city to bypass the port just south of town.” About 800 commercial trucks move through the Lewiston area every day, it said. During 2017, the ITD said, trucks using similar systems to bypass four Idaho ports saved the industry $3.475 million. It noted that allowing vehicles to bypass weigh stations also benefits the state and other drivers by reducing congestion around the facilities and enabling inspectors to focus efforts on other carriers. “This technology saves our commercial drivers significant time and money, especially for local drivers who pass through the port three to four times on a normal day,” said Ron Morgan, supervisor of the Lewiston ports. “The recent updates to the system reflect the department's commitment to building a transportation system that supports economic opportunity and mobility in the area,” he said.